Essentially, this building is the architectural embodiment of sea sickness, waves of nausea frozen in sheaths of glass and colored aluminum that, when stared at for too long, summon queasiness, discomfort and, if you’re really unlucky, a reappearance of lunch as inevitably as puddles after a rainstorm. Incidentally, the much-maligned flats in question range from $1 million to $1.2 million. 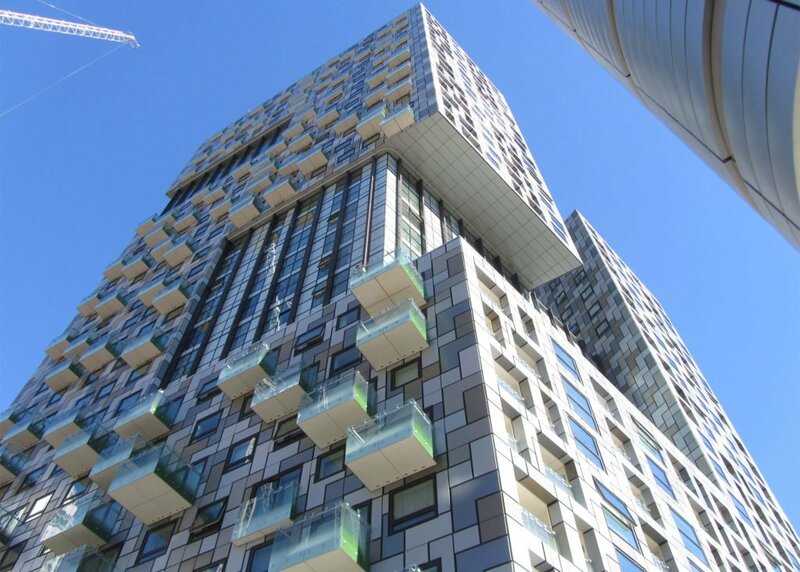 The developers behind the project, Galliard Homes, describe it as a "striking new landmark against Canary Wharf’s dazzling architecture." They go on to add: "Offering breathtaking views, first class facilities, and superlative living accommodation in a location of international status, Lincoln Plaza is set to provide one of the most prestigious and sophisticated new landmarks on Canary Wharf’s iconic skyline." Ijeh, though, was not impressed with this description. Were anyone in any doubt as to the sheer level delusion and gall that has gripped London’s luxury housing market, then this asinine quotation should settle the matter once and for all. Lincoln Plaza is actually in South Quay and not Canary Wharf but what better way of showing contempt for your local context than by insinuating it is actually located in your flashier neighboring district that is more likely to be familiar to your target Malaysian investors? But, of course, this development does not show contextual contempt by words but by actions and it is these architectural actions and not the aforementioned “views” that are truly “breath-taking.” Lincoln Plaza is a putrid, pugilistic horror show that should never have been built. In its bilious cladding, chaotic form, adhesive balconies and frenzied facades, it exhibits the absolute worst in shambolic architectural design and cheap visual gimmickry. The only thing “sophisticated” about this scheme is the sheer level of artistry that must have been orchestrated in order to convince the local authority to award permission. Those who control the [Carbuncle Cup] seem to know next to nothing about commercial architecture, hate it, campaign against it and only keep quiet when a self-evidently ‘good’ architect, like Eric Parry, wins a commission to design the tallest tower in the City of London, demolishing the rather good [Aviva] tower in the process. The predictable tone of the [Carbuncle Cup] nominations is echoed by the predictability of the results. The judges don’t get out much, so the focus is generally on London. If you can attack a big name, all the better, hence the ludicrous abuse poured on the Cutty Sark project by Grimshaw. Commercial uses are a red rag to a bull, hence the campaign against another ‘winner’, the Tesco store with apartments above at Woolwich, a brave and successful attempt to revive a benighted town centre, which I supported while sitting on the design review panel which assessed the plan... My real objection to the [Cup] is that it is the product of mental idleness rather than genuine thought about the way in which architecture both absorbs and reflects culture, economics, fashion and the myriad other elements which inform the way we now live, work and play. Some might regard it as a cheap exercise in tabloid trolling that takes no account of the complexities and contradictions of the design process, in which architects are merely hapless pawns, buffeted by bad clients, bad briefs and bad legislation. Yet who could argue against the guilty pleasure of witnessing the pomposity of the great and the good being pricked or the hubris of provincial nonentities witheringly exposed? After all, these purveyors of ordure are paid for what they do. And, unlike genuine ordure, bad buildings cannot be swept away. The shortlist for the least desirable architectural accolade in Britain has been unveiled. 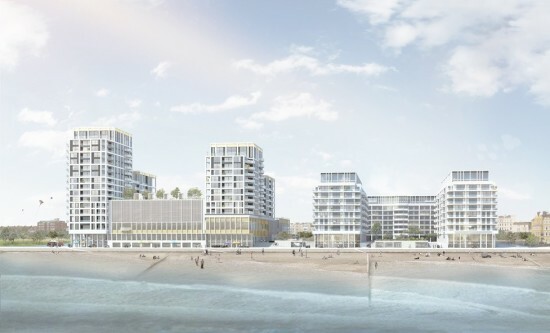 Comprising six unfortunate finalists, the winner will be awarded the Carbuncle Cup, a trophy which has become the stuff of nightmares for architects with projects in the U.K. The Carbuncle Cup is now in its tenth successive year and is proving to be a humorous, tongue-in-cheek response from Building Design (BD) to the Royal Institute of British Architects (RIBA)'s Stirling Prize. 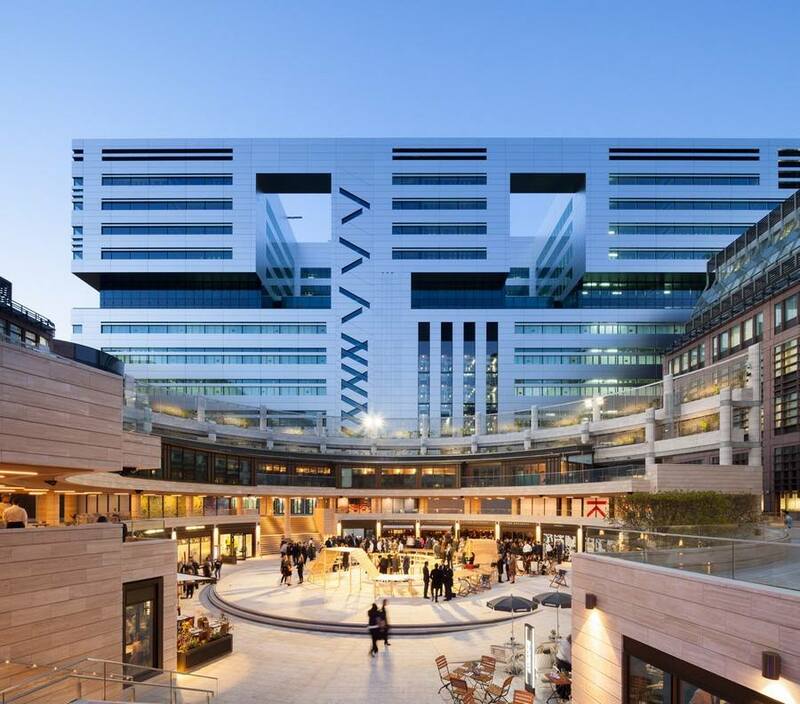 Pedigree, it seems, won’t save you: Foster+Partners and Rogers Stirk Harbour+Partners have previously made the list for their Moor House office development and One Hyde Park projects, respectively, which are both in London. Past winners include the Strata SE1 building in south London by BFLS and the Cutty Sark renovation in Greenwich by Grimshaw Architects. Last year, Rafael Viñoly’s car-melting 20 Fenchurch Sreet (a.k.a. The Walkie-Talkie Tower) in London took the prize. Take a look at this year’s finalists below. One Smithfield Stoke-on-Trent RHWL Architects "An aesthetic mutation between the nostalgic 1980s brain games of Connect 4 and Blockbusters might not seem like a natural breeding ground for architectural malevolence but this building proves what happens when color goes rogue," wrote BD in a scathing analysis of the multi-colored structure. Poole Methodist Church extension Poole, Dorset Intelligent Design Centre Churches have not faired well according to this year's iteration of the Carbuncle Cup. This extension to the existing gothic church has been derided as a building that "screams of the same bland, belligerent mediocrity that is the insidious moniker of ostensibly polite and ubiquitous background architecture everywhere." 5 Broadgate London Make Architects Make Architects's 5 Broadgate is one of three buildings from London (last year had four) and the largest on the list. Such is the scorn that the structure has received that developers of the nearby 22 Bishopsgate project called 5 Broadgate the "worst large building in the City for 20 years." Ominously, last year's biggest building happened to be 20 Fenchurch Street (The Walkie-Talkie), the eventual winner. Lincoln Plaza London BUJ Architects Last on the ill-fated architectural honors list is Lincoln Plaza. "31 stories of bilious cladding are piled one on top of the other to create an assortment of haphazardly assembled facades that are crude, jarring and shambolic," wrote BD in an unforgiving critique of the high-rise. And that wasn't all. "Were that not enough, the facades enwrap a grotesque Jenga game of rabid rectilinear blocks of no discernible form or profile and perforated by a series of balconies which one reader surmises “are an open invitation to commit suicide." The winner of the Carbuncle Cup will be announced next Wednesday. The jury comprises Thomas Lane, BD editor, Ike Ijeh, architect and architectural critic, Ben Flatman,author, architect and BD columnist, and Julian Robinson, London School of Economic’s director of estates, who was responsible for commissioning 2014 RIBA Stirling Prize finalist the Saw Swee Hock Student Centre. The word "Basildon" does little to conjure thoughts of paradise. For those who know it as a town in Essex, England, this association could only seem ridiculous. Fifty years ago, however, Basildon—a state-built "new town"—was synonymous with the utopian dreams among planner and architects. "Are we a product of our environment... or is it a product of us?" Christopher Ian Smith asks in a preview of his documentary film. 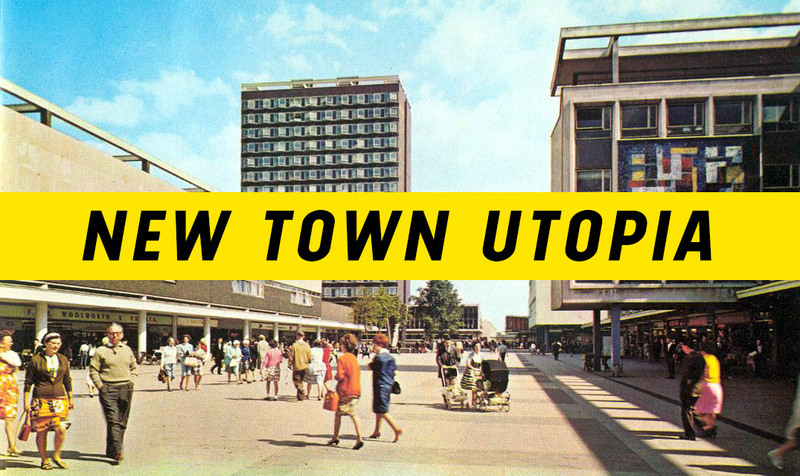 Titled New Town Utopia, his exploration of Basildon's fate—four years in the making—now needs $21,000 for post-production, marketing, and distribution requirements. The feature film aims to examine British social history through the lens of Basildon's architecture, planning, and its creative residents. By way of some background, "New towns" were the product of the U.K. government, which aimed to fix a nationwide housing shortage after WWII. In 1946, the "New towns act" was passed to create ten new towns. Eighth in-line was Basildon, being officially designated as such on January 4th, 1949. "Here is a journey through populated ruins," narrates Smith, who's been filmmaking for some years. "It's the story of the grand dreams of the new town... compared to harsh concrete realities." Smith spoke to The Architect's Newspaper (AN) about his motivations for the film and his experiences while shooting Basildon. Now living in London, Smith said how growing up in the town was an inspiration. "It felt different," he explained. 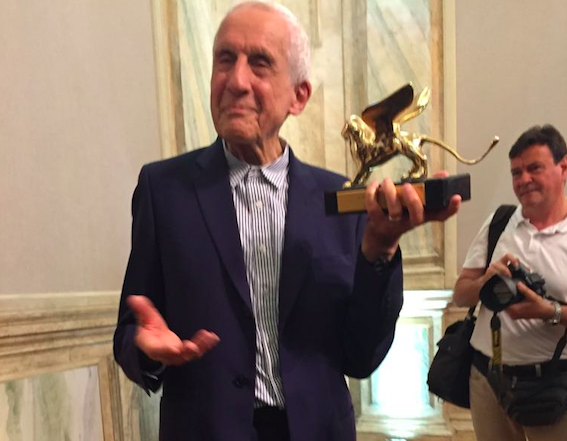 "I enjoyed the art, architecture, sculpture, and especially the high street. I've succumbed to loving the aesthetic of midcentury brutalism and the ambitions behind it. 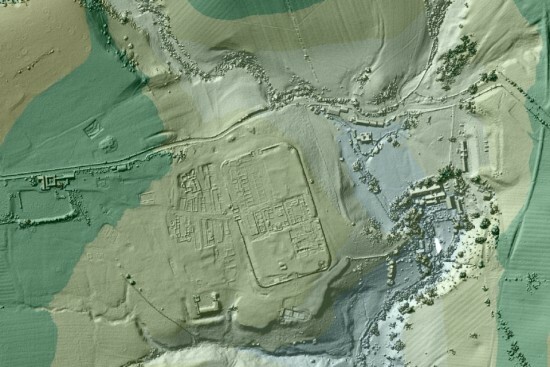 The utopian ideals behind planning and architecture at the time were considered progressive. In the 1950s and 60s, risks were taken. The spirit of '45, with nationalization and the National Health Service, lived on." However, Smith acknowledged that these radical ideas—when attempted on an architectural and planning scale in Basildon—have wilted significantly over time. "The place has a terrible reputation, both locally and nationally," he said. Local civic pride, according to Smith, appears to be dwindling. With his film, Smith hopes to spark a "debate of the state of our towns" and "not just new towns." When filming parts of the high street and Basil Spence's Brooke House—both architecturally-prominent landmarks within Basildon—Smith recalled being asked: "Why are you filming that? Are you going to knock it down?" No one even goes to Basildon on holiday. In the 1970s, Basildon was dubbed as "little Moscow-on-Thames," Smith described. A decade later, the phrase "Basildon Man" had surfaced. That image was of the well-to-do working-class Conservative voter—a far cry of the leftist ideologies of the past and its architecture. This was cemented when Tory MP David Amess won the Basildon constituency seat in 1983 and was able to hold it for 14 years. In his conversation with AN, Smith concluded that in the end, "top-down planning" was endemic to its failure. In the process of collating more than 400 hours of footage of the town, Smith goes so far as to argue that few—if any—would ever visit Basildon for fun. His Kickstarter campaign has until September 26 this year to have funding finalized. The film, if realized, will be complete by March 2017. After fending off Rafael Viñoly, Zaha Hadid, Nicholas Grimshaw, Haworth Tompkins Limited and compatriots Mecanoo, OMA's design for "The Factory" will become Manchester's new art house. Lead by Rem Koolhaas, The Factory will be in the British city's center and is touted to cost $166 million with a further $13.5 million-a-year to run. Funding will not be an issue for Koolhaas' building as U.K. Chancellor George Osborne has pledged $117.5 million to the project with the view that The Factory will become the "Northern Powerhouse" showpiece. The project's name supposedly comes from the home-grown Factory Records, an indie record label launched in 1978 that produced notable bands such as Joy Division and Happy Mondays. 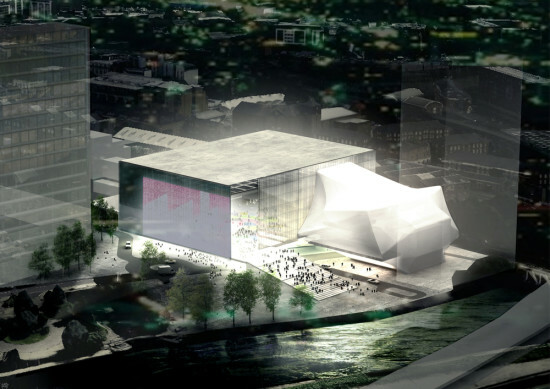 Koolhaas has designed what essentially is an art-box that will host a wide range of artistic events in Manchester, with an aim for the facility to become the cultural focal point of the region. The venue is dedicated to theatre, music, dance, technology, film, TV, and scientific advancements and will have a combined capacity of 7,200—2,200 seated and 5,000 standing. This will be OMA's first major public development on British soil, aside from a few minor forays into London, Glasgow, and the south coast. “The importance of the Factory cannot be overstated," Manchester council leader, Sir Richard Leese, told the Guardian. "It will be of international significance, the cultural anchor for the next phase of economic and cultural regeneration in Manchester, Greater Manchester and beyond. It will help power Manchester and the wider region towards becoming a genuine cultural and economic counterbalance to London, as well as being a place where inspirational art is created.” Koolhaas' project in Manchester is set to break ground next year with the aim to finish by 2019. According to the Guardian, "Those behind the project have predicted that within a decade it will help create the equivalent of 2,500 jobs adding nearly $211 million to the local economy." With a name like Import.export, you'd think there might be some sort of humanitarian angle here, a la Architecture for Humanity, but apparently not. Still, when kids are paying a hundred bucks a month to camp out in Bushwick backyards, maybe we could use these crazy camping scaffolds, too. First, AJ brought us the architecture of Star Wars. Now, in another brilliant twist, comes the Top 10 video game designs. From Sim City to Marioworld, Second Life to World of Warcraft, we nerds couldn't be happier. Sure, they left out Diablo II and Roller Coaster Tycoon, but who are we to complain about our new favorite architecture pub? After ourselves, of course. The lack of advertising and the lure of the Internet (no print costs!) in our saturated market is forcing a number of publishers to look at restructuring the way they put magazines together. I can't see how this is going to be good for editorial quality or for differentiating the two mags, but I do think that Paul Finch’s gig of a major international event linked to the world wide web is an interesting evolution in publishing.